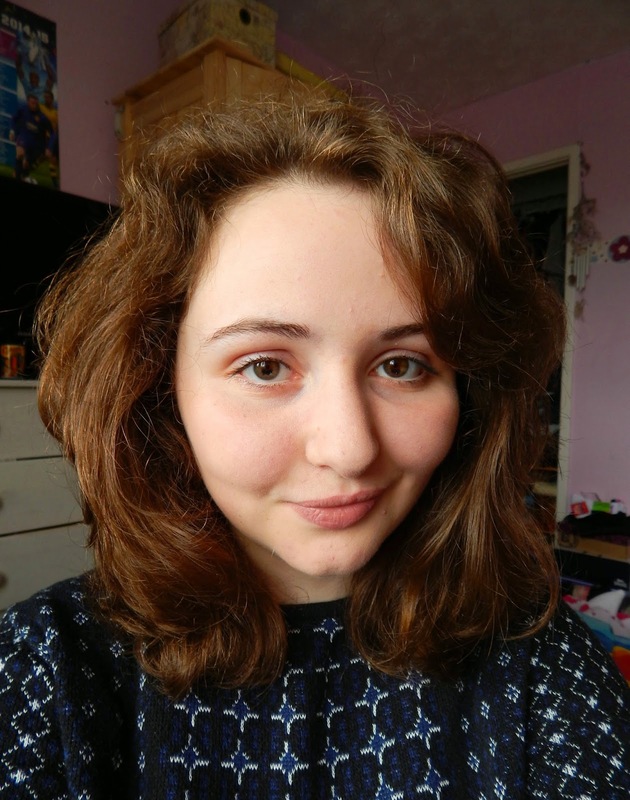 Yesterday I went to the hairdressers with my two sisters to get our hair cut at which point I spontaneously decided to get my hair totally redesigned and have it cut short with layers. Last time I got my hair cut I asked for it just past my shoulders, which was quite a change for me, but this new haircut is in a whole other field of haircuts. I am still unsure whether I like it and I do miss my long hair. But shorter hair is good for the winter when you want to wear a scarf but don't want your long hair under the scarf irritating your neck or over the scarf making your head look rather triangular. So, it's good for something. Since getting my hair cut I have straightened it twice which kinda defeats the object of cutting off all the damaged hair as I am now just making more damaged hair but I am glad to be rid of the dip dye. Overall I don't mind the new haircut but it will get some getting used to. Very cute and well manageable I could imagine. I think the shorter hair looks lovely on you! I tend to cut my hair short in the fall/winter for the scarf reason, too. I hate having long hair cascading all over the place with winter clothes on. Your hair looks lovely! The whole scarf thing really makes me tempted to have the chop. It has taken me so long to grow my hair though - I think I'd have a complete freak out! I had always considered short hair to be better for summer because it's cooler and long hair better for winter to keep me warmer, but you make a good point about the scarves! Your new hairstyle is now going to be my winter hair inspiration! I hope it looks as good on me as it does you! Thanks for sharing.